Dietrich, driver of the Gary Kauffman Racing/Weikert’s Livestock/Sandoe’s Fruit Market/Pace Performance/Big Cove Whitetail Trophy Hunts/Drop Of Ink Tattoo/Sweeney Cars/Self Made/No. 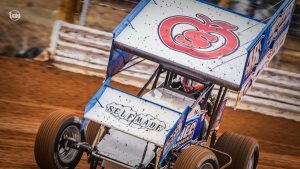 48 sprint car, will enter the upcoming weekend with one victory to his credit thus far in 2019, that occurring at the ‘Fabulous’ Lincoln Speedway on Saturday, March 16. Although Dietrich’s plans for Friday are definite, nothing has been set in stone for Saturday. A decision will be made later in the week.